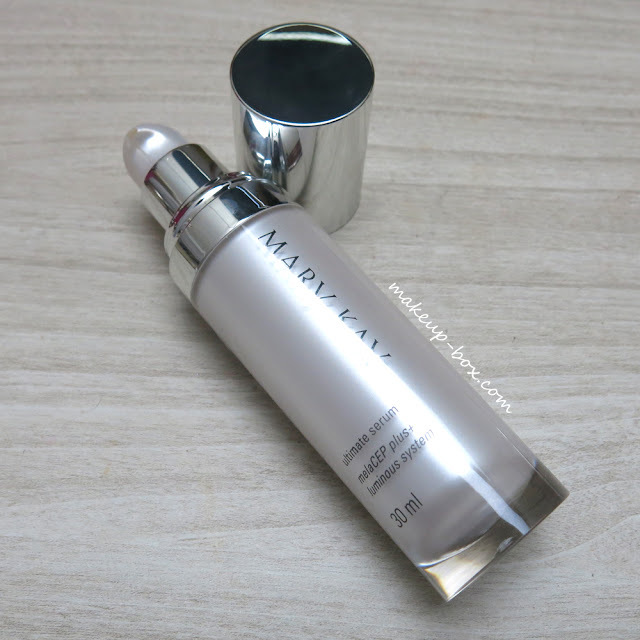 Mary Kay is in Singapore, and one of their newer star products is the MelaCEP Plus+™ Ultimate Serum. Back in the day, Western "whitening" products initially contained Hydroquinone, which literally BLEACHES pigmentation from your skin but has a lot of potentially severe side-effects which defeat the purpose. Improper use can worsen your hyperpigmentation and dark spots. There are broadly speaking 2 kinds of "whitening" products. Bleaching/lightening agents - the faster way to even out skintone and remove existing pigmentation. These are done through use of ingredients such as Hydroquinone (no longer in use by most brands, and NOT recommended due to the potentially severe side-effects, including making hyperpigmentation worse) and more recently, Tranexamic Acid, which is a far safer option and a drug previously used internally to help increase blood clotting. Repair/Antioxidant agents - these work slower because they neutralize free-radicals and other environmental stressors, and support the skin's ability to repair itself naturally. These are to me almost a must for everyone who is concerned about slowing the aging process, because unlike lightening agents, these give other positive benefits such as preventing DNA and collagen damage. You can always use a tranexamic acid product in the short term to reduce the appearance of scarring and melasma, but make sure you also supply a regular dose of antioxidants to your skin and continue to wear sunblock on a daily basis so your skin stays in optimal condition. Otherwise you would just be pale and wrinkly as you get older. 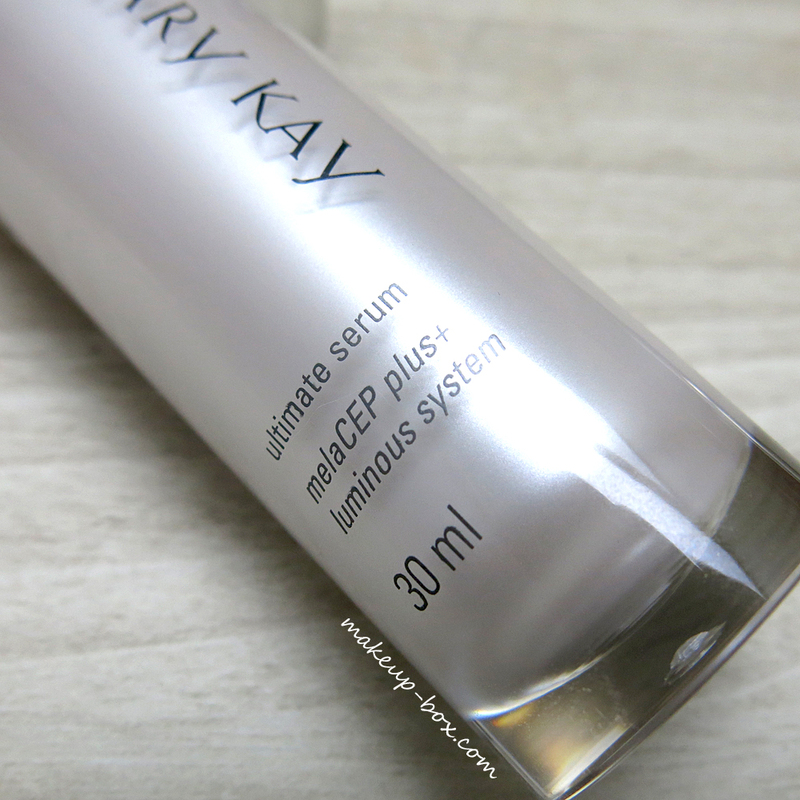 What do I think about the Mary Kay MelaCEP Plus+™ Ultimate Serum? From personal experience, you will not see fast results if you have existing hyperpigmentation and unevenness. Results will come gradually over weeks or months depending on the severity of your skin damage, and only as you shed your old layers of skin to reveal healthier layers beneath. What it CAN do is help to reduce the severity of scarring and darkening from new blemishes and sun exposure, and to speed up the lightening of new marks. It will not be able to significantly lighten old marks or more serious melasma quickly. If you need to deal with those issues, you might want to add a tranexamic acid product into your regime. I would say it's always good to have a serum like this on hand for daily age-prevention, even if you're not looking for skintone-brightening. Whitening skincare ingredients are just too good to pass up in favor of "regular skincare".I would use it not just at night but also in the day, under moisturizer (if you have dry skin) and sunblock. If you are oily, you can just use it in place of a light lotion, under sunblock. If you have not been using a proper antioxidant serum regularly, you might start to see your skin looking fresher and more radiant quite quickly. The cons? At SGD$160, this is not exactly cheap compared to what you can get in the drugstore. Sure, that bottle of Olay Regenerist might not contain exotic edelweiss extract and hexylresorcinol, but Niacinamide is a chief ingredients for both, and probably the ingredient doing most of the heavy-lifting here. And if you're going to be stingy and apply just a tiny bit of this to certain parts of your face, then I'd rather you just get a cheaper product that you are more likely to apply generously all over. Still, if you have the budget and you want something more sophisticated than the average drugstore anti-aging or brightening serum, this might be a nice one to check out. I can't compare proportions of active ingredients just from looking at the ingredients list, but all else being equal, I feel it is comparable to many of the high-end brightening serums from brands like Estee Lauder. i used of timewise already but my serum is melasep, so its ok to my combination of my using products?And why there came out of pimples under using of the products? Its a great pleasure reading your Melasma Treatment post.Its full of information I am looking for and I love to post a comment that "The content of your post is awesome" Great work. Currently most likely to Setups, Safety, Enable Unidentified Resources. Download Appvn Currently you could begin making use of the appvn iphone application on your Apple tool. Ink Lipquids from THEFACESHOP: First Impressions!